If you’ve read my recent post The Guilty Pleasure of Making Gruesome Foods, then you won’t be surprised that I am in awe of Kim Atkinson Fiorini‘s food serving idea. I believe she made it for a Walking Dead party. What a way to serve a spread of meats! Image courtesy of Kim Atkinson Fiorini. Either way, I’m in complete awe on this one! 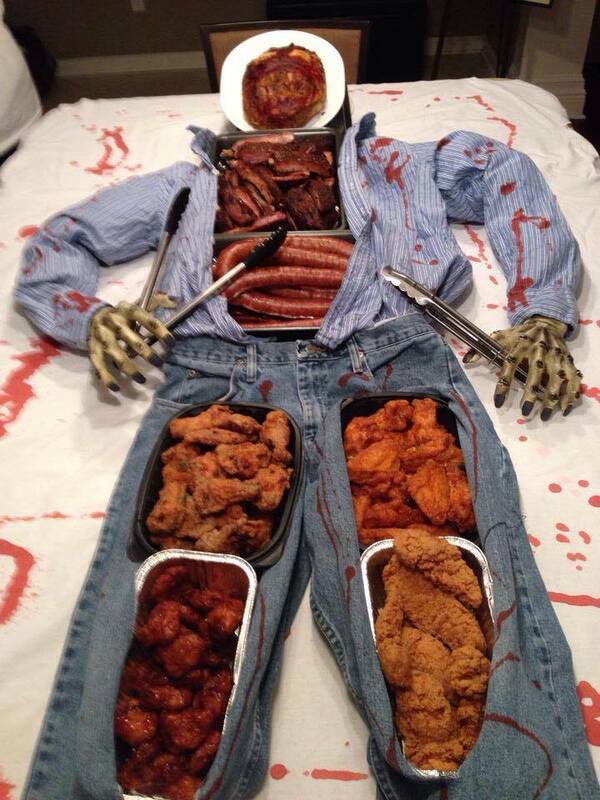 I have to say this is THE BEST idea I have seen for serving meats on a table for Halloween or as in a zombie party. I can really see this work for a zombie wedding too! Thanks Ms. Fiorini for your creativity! This entry was posted in Uncategorized and tagged Gruesome Foods, Halloween, Meats, Serving Spooky foods, The Walking Dead party by thewritegirlforthejob. Bookmark the permalink.